DESOLATION is the next book in the exciting Stone Age Series, picking up right where STONE AGE (the prequel and first book of the series) left off, and will answer many of the questions left hanging in the first book. 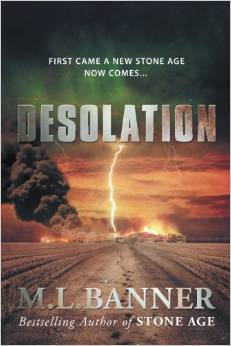 DESOLATION is a stand-alone novel, which can be read even if you haven’t read STONE AGE. However, you’ll certainly get to know the characters better if you did (if you’ll read STONE AGE). The following are reviews for STONE AGE and/or DESOLATION left below. Some of these reviews contain SPOILERS. If you have not read STONE AGE and/or DESOLATION, please beware. Mr. 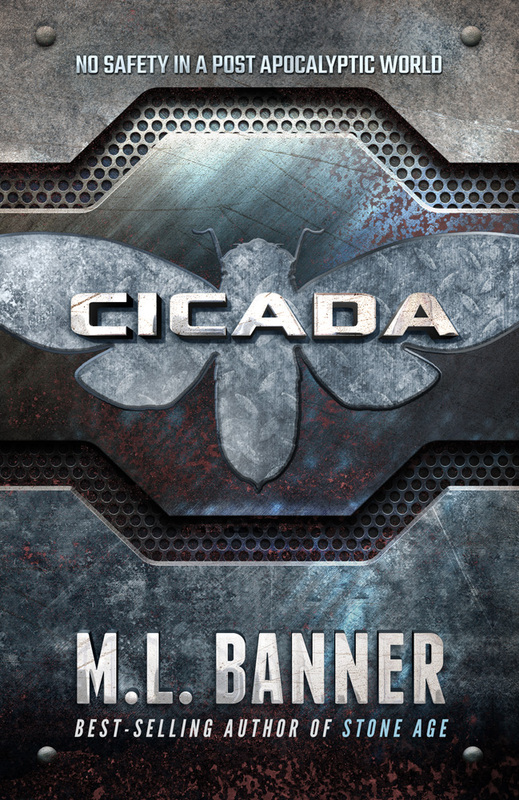 Banner, I enjoyed your book and look forward to its sequel. Greatly enjoyed the EMP information and characters in Stone Age. You are very welcome Steve & Jerry. Thank you for telling us and others about your enjoyment for the book. Please leave a review on Amazon and receive a free gift (see the instructions after “The End” in the book). Great book I could not put it down and I can’t wait for the sequel!! Just finished Stone Age and really enjoyed it. The only down side is I will have to wait for the next one(BIG SIGH!) I will be sure to get it as soon as it’s released. Thank you for such a great read. Enjoyed the book very much. Being a somewhat prepper, I think I might rather experience an EMP rather than a coronal event of the sun. Thought provoking and somewhat frightening. Thanks for writing this book. I really like your concept. I am excited to read the next book can you say yet when it will be out? New book is in the works and is still projected for release as early as September or October 2014. 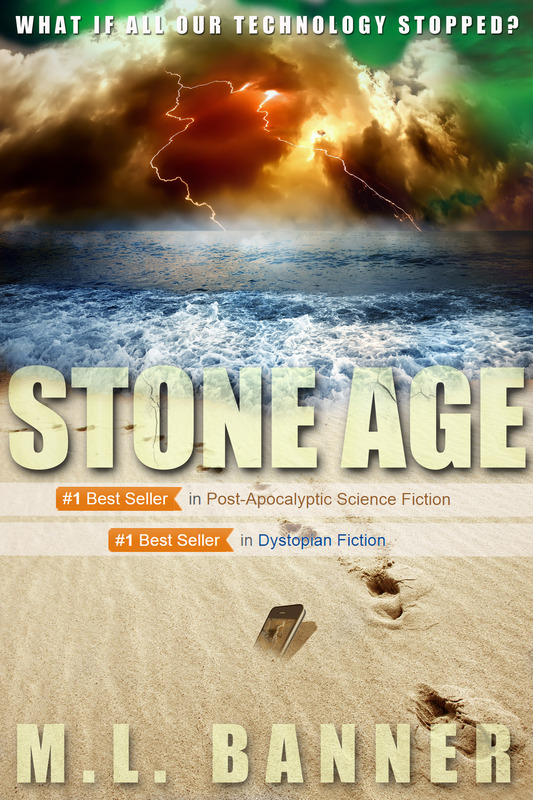 Be sure to subscribe to Apocalyptic Updates on http://mlbanner.com to get updates, including one this weekend concerning STONE AGE and book#2 (STONE AGE – New Realities). I was very confused by two things. One, the name change of the second book in the series, and the name change of Max’s great grandfathers beloved. Please explain?! 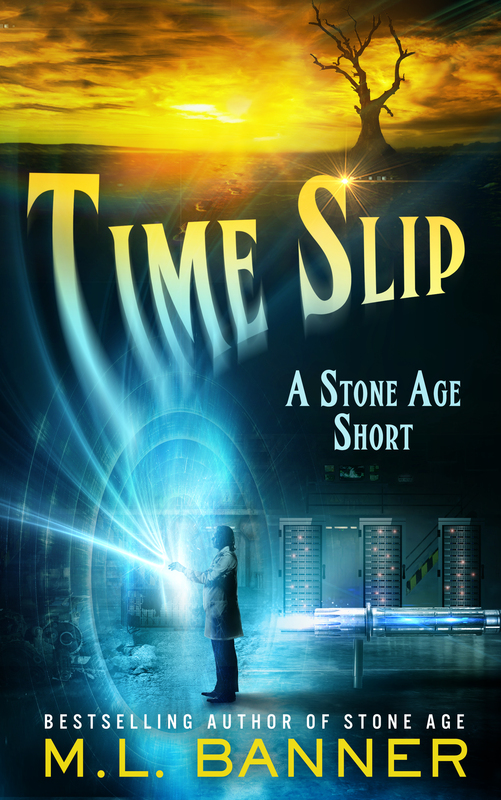 Hi Stephanie – Thanks for choosing Stone Age to read and I’m most sorry for the confusion. There were a few changes made to Stone Age after DESOLATION was ready for publication. The most obvious was the name of the second book, which was changed to DESOLATION from Stone Age – New Realities after receiving feedback from beta readers and editors. The second big change was to the bonus materials (at the back of the book). I published three chapters that were going to be included in DESOLATION (again at that time the working title was Stone Age – New Realities), but in the end, two of the three chapters were never included in DESOLATION. One of those chapters also had a glaring mistake, listing Russell Thompson’s love and later wife as Betsy, when her name was in fact Betty. Although this newest version has been available for purchase for about a month, I have just contacted Amazon to inquire as to why the newest version of Stone Age doesn’t show up for you (and others who purchased it prior to the update). Amazon should have this corrected in a few days. I’m also sending you an email directly as well to offer you a small token of thanks for bringing this to my attention. Looking forward to next book. Really enjoyed this one. Can’t wait to find out what happens with Max. Just finished Stone Age, OMG I love the way you bring a fresh story to this on going future situation. Great read, very thought provoking. From a pepper that wishes I had the resources available. thought the books were great! please let me know when the next is available. enjoyed both books length of Desolation was nice but thought last quarter was a little rushed.Look forward to more..